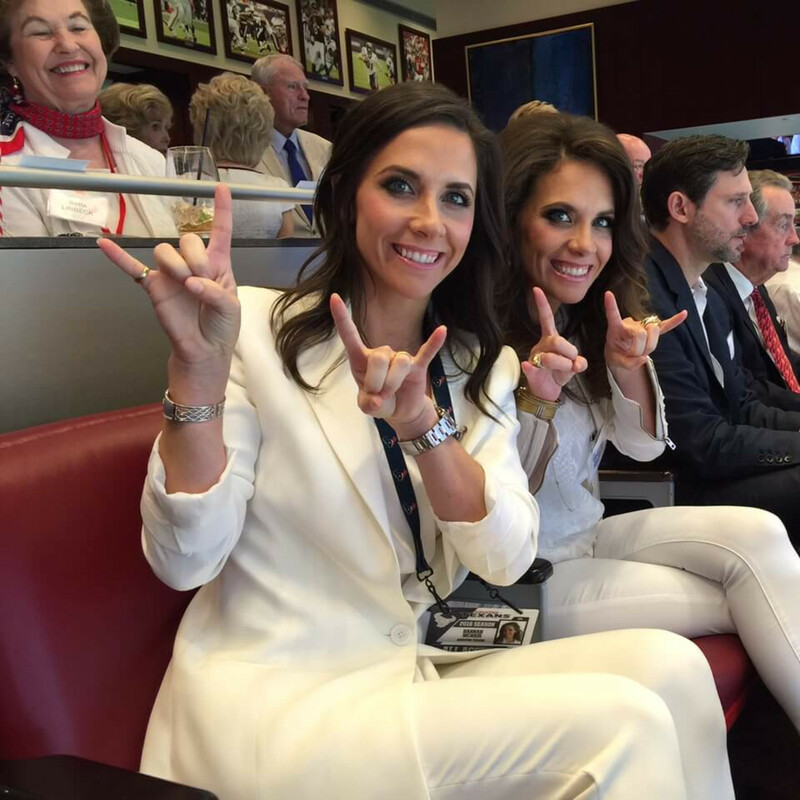 First, it was tentative high fives and cheers that resounded through the founder's suite at NRG Stadium Sunday afternoon. 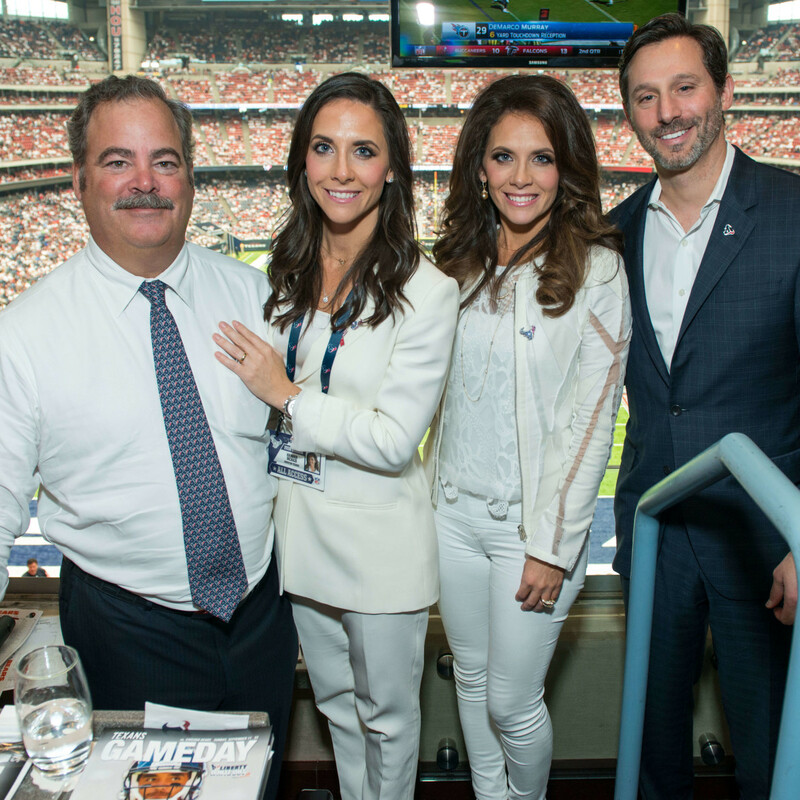 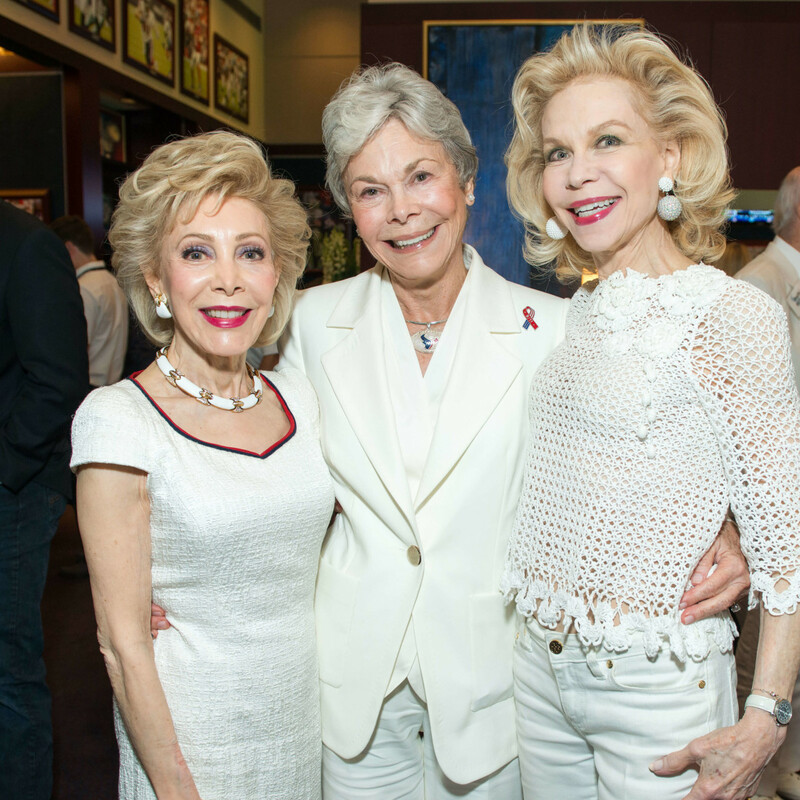 Then, it was the sounds of a confident victory that resonated through the luxe cocoon which serves as the ultimate end zone for Janice and Bob McNair's tony friends and city leaders. 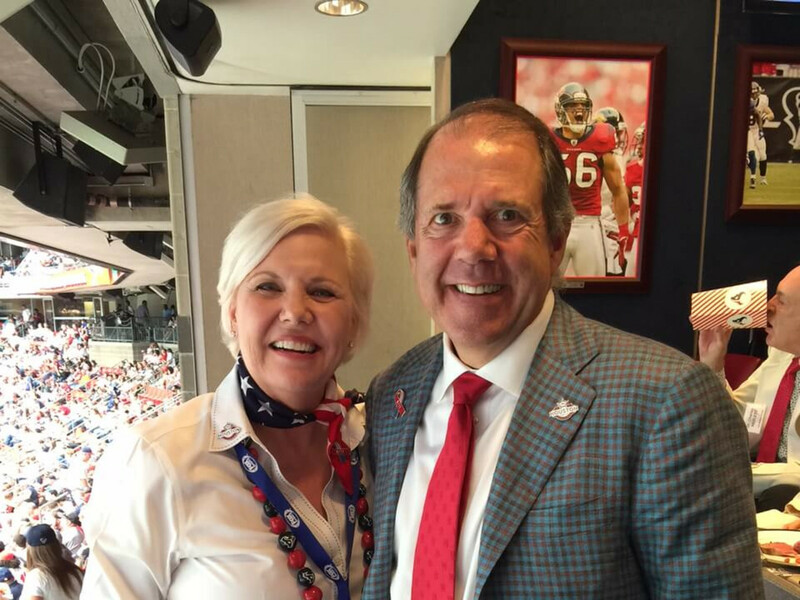 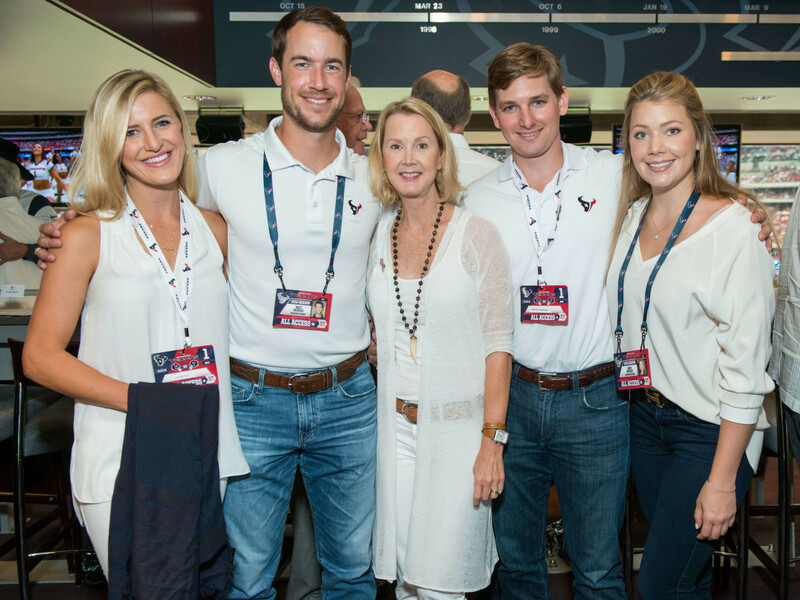 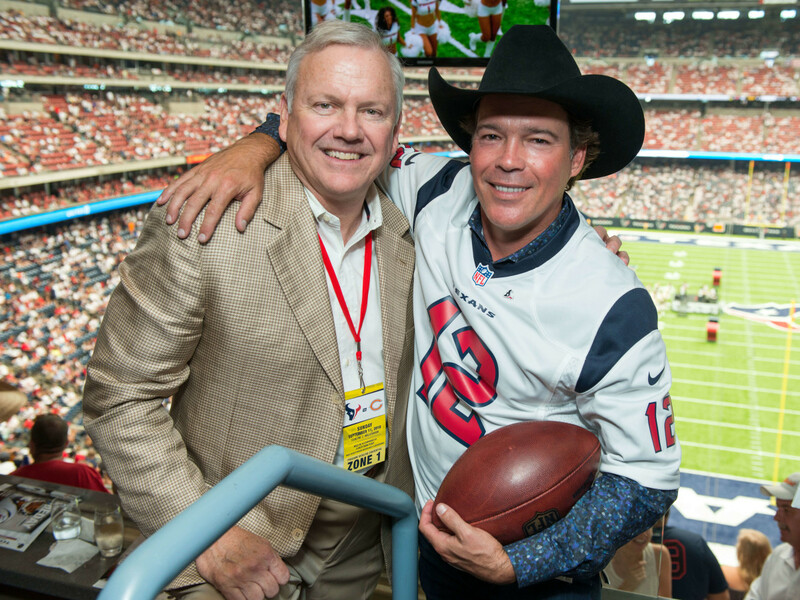 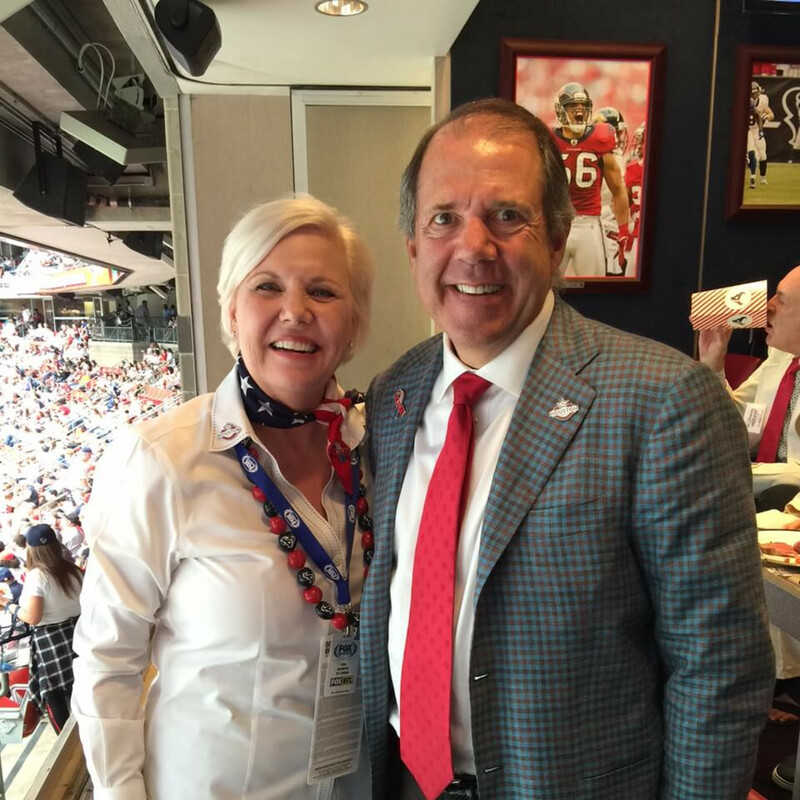 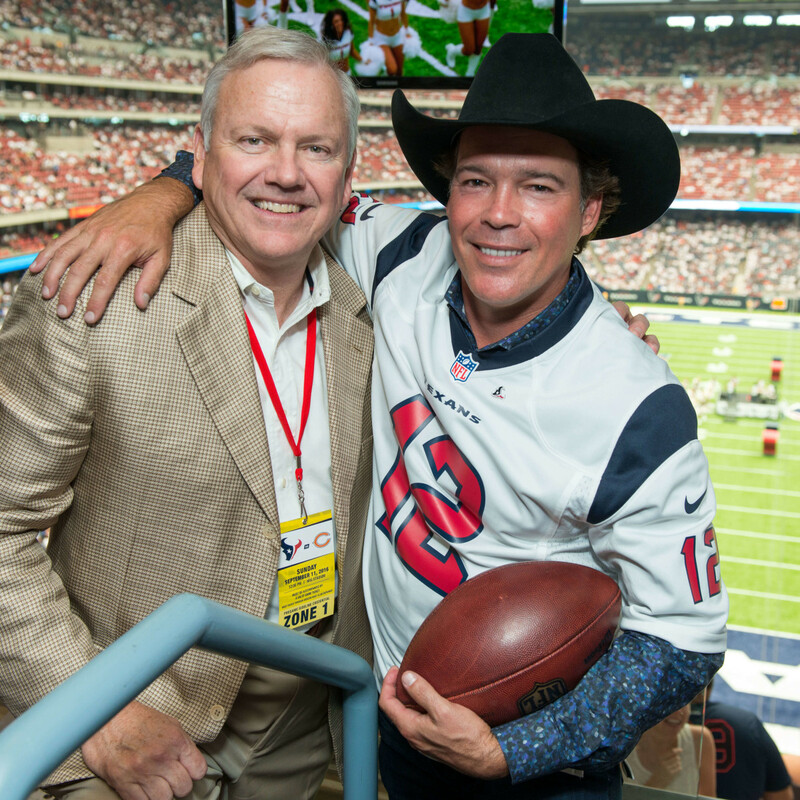 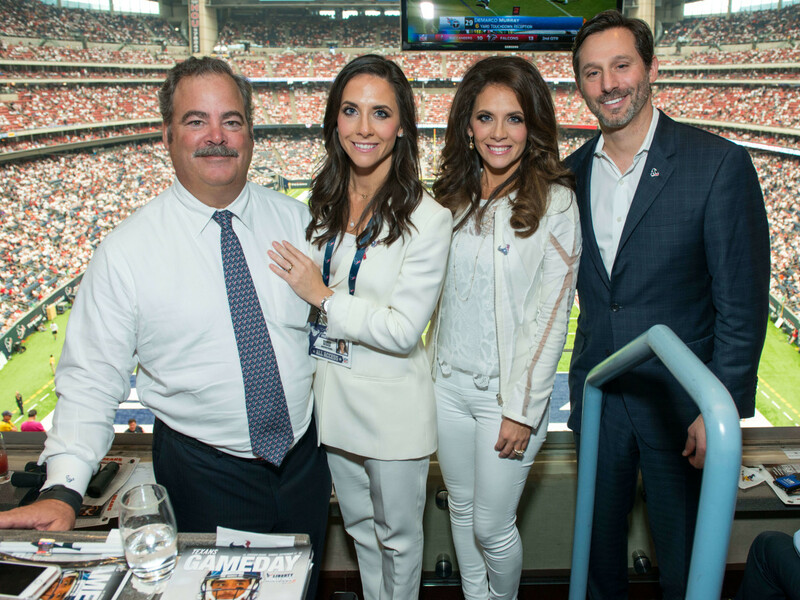 How sweet it was in the posh suite where the high spirits, which punctuate every season opener, gained momentum as the scoreboard attested to the prowess of this season's Houston Texans. 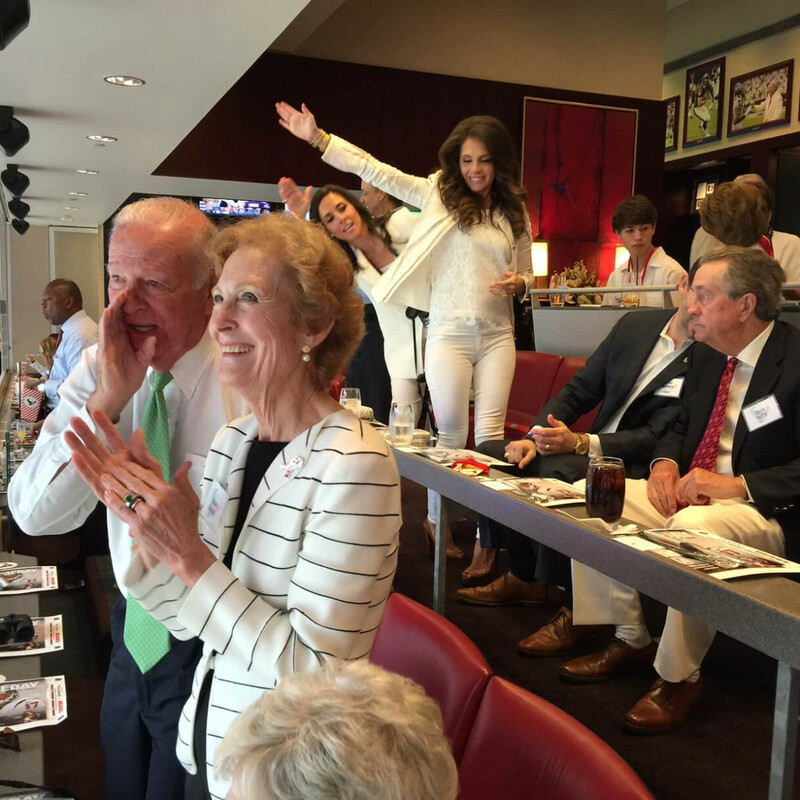 In case you live under a rock, the hometown team walloped the Chicago Bears in a 23-14 win that had the SRO crowd in the McNair's suite saluting the team, and newcomers quarterback Brock Osweiller and rookie Will Fuller. 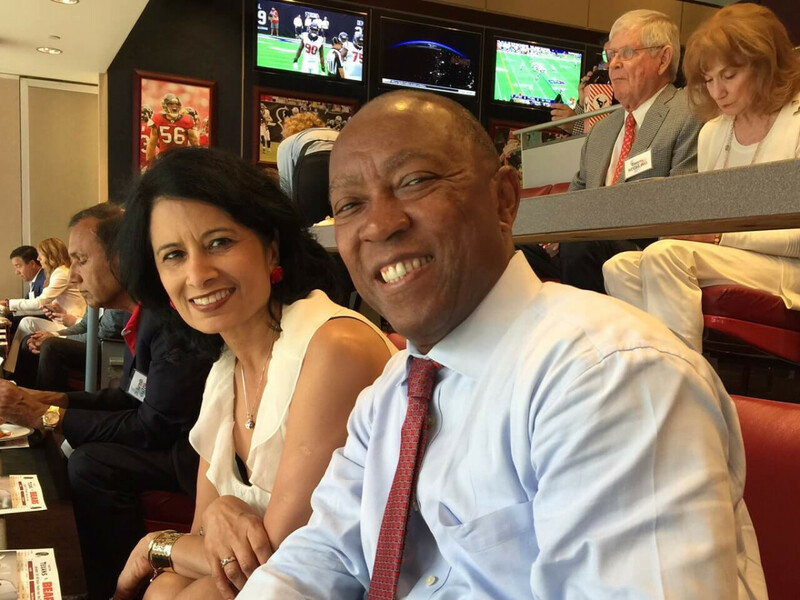 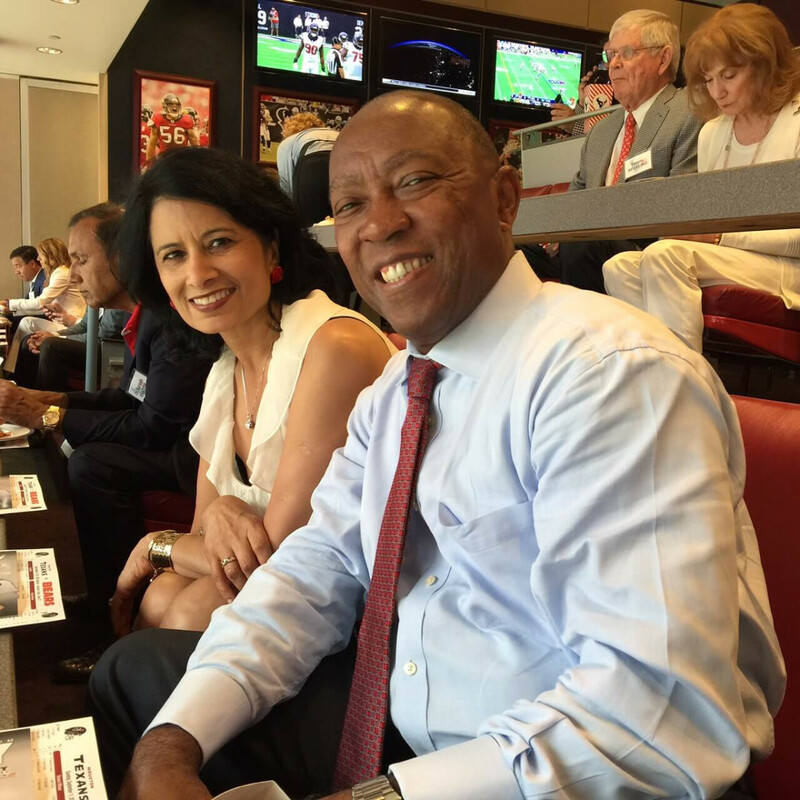 Among the notables with eyes barely moving from the field were Mayor Sylvester Turner, former Secretary of State James A. Baker III, University of Houston president Renu Khator, Texas Heart Institute honcho Dr. Jim Willerson, and the ever-glamorous Lynn Wyatt. 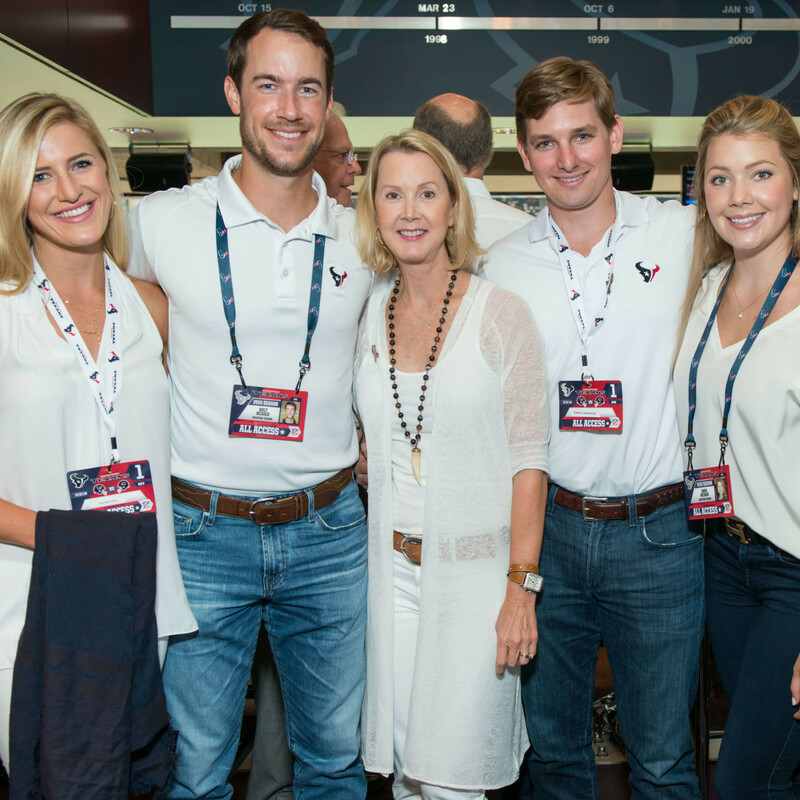 There was time, however, for schmoozing during the pre-game hour-long social, during which the McNairs' VIPS were given access to the sidelines on the field, and during half time. 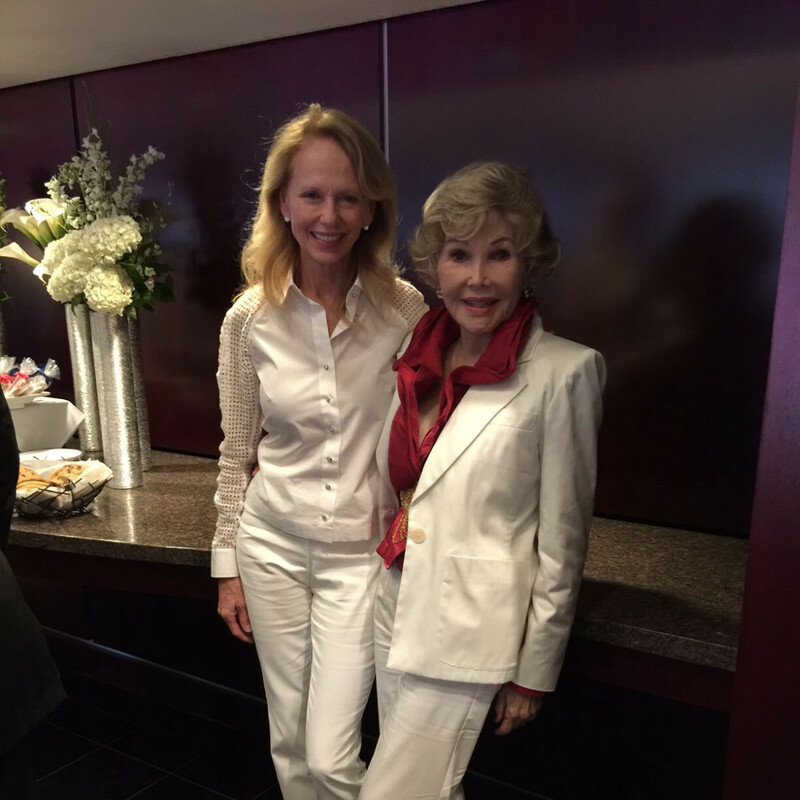 Wyatt mentioned her upcoming week-long trip to Sicily for a friend's five days of birthday partying. 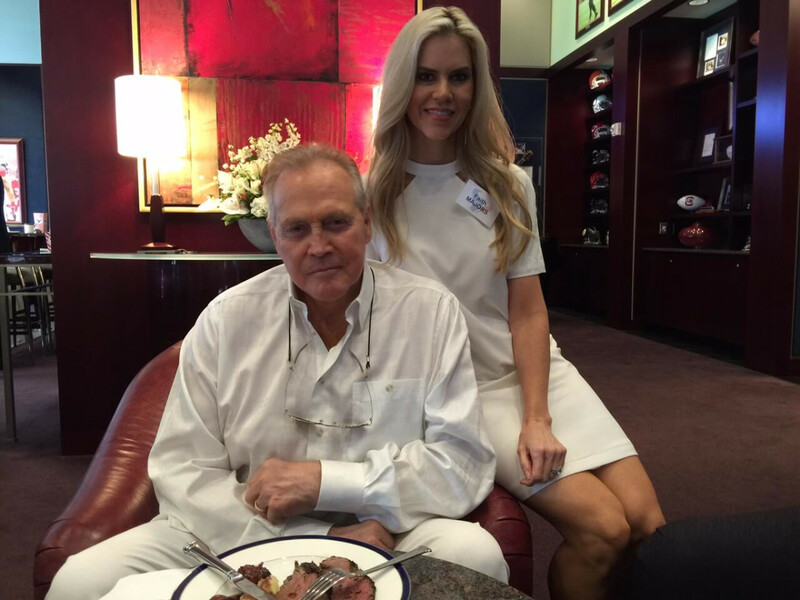 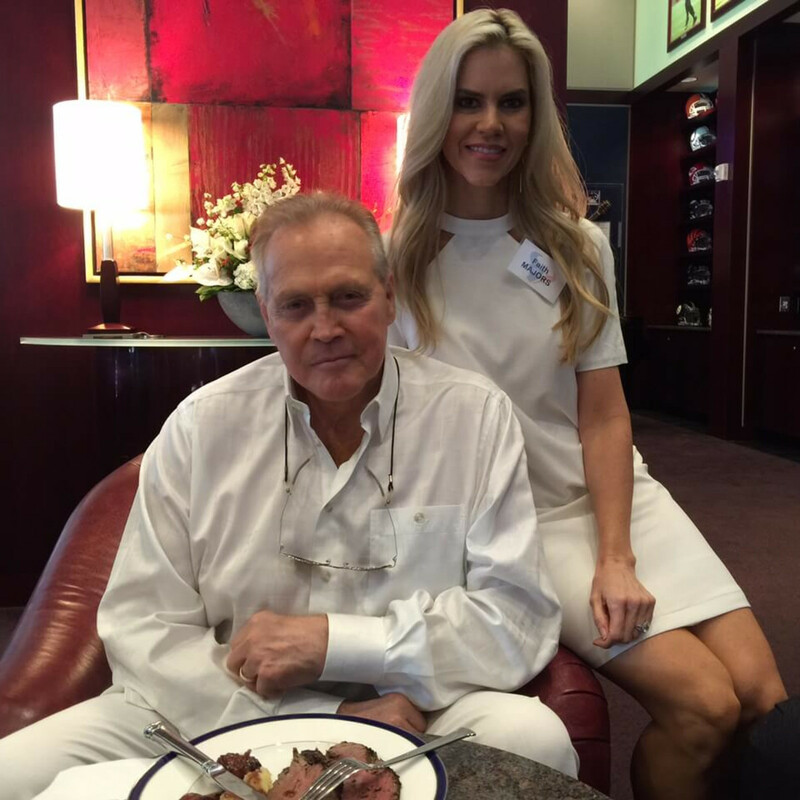 Faith and Lee Majors, yes the Six Million Dollar man Lee Majors and a former football force in his own right, were headed for a month-long road trip promoting his Starz TV series The Evil Dead. 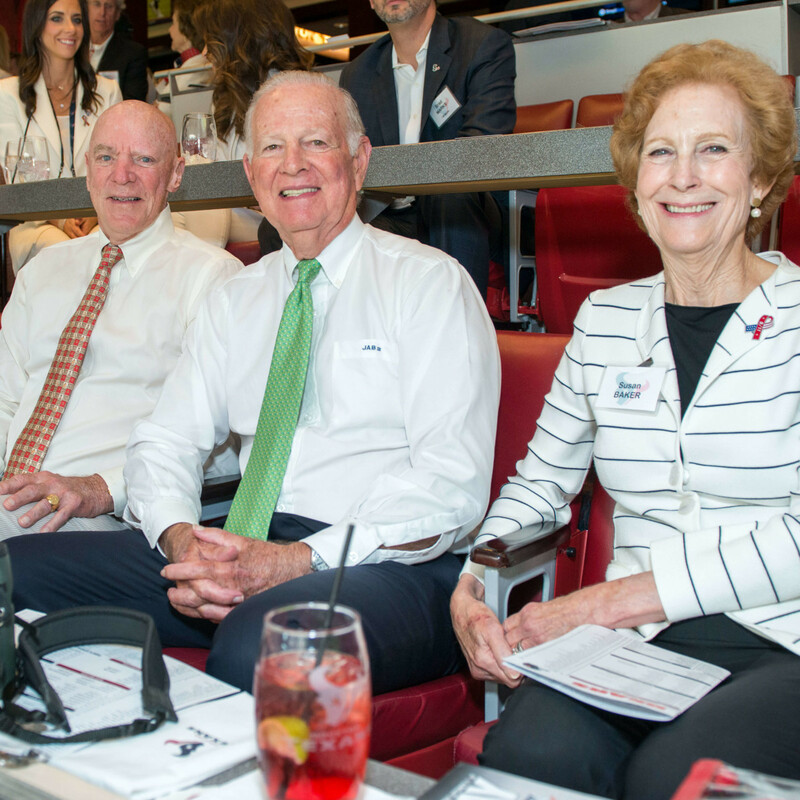 Bob McNair, who spends the first half of the game on the sidelines, once in the suite, reiterated his seasonal optimism telling CultureMap, "We're going to get there. 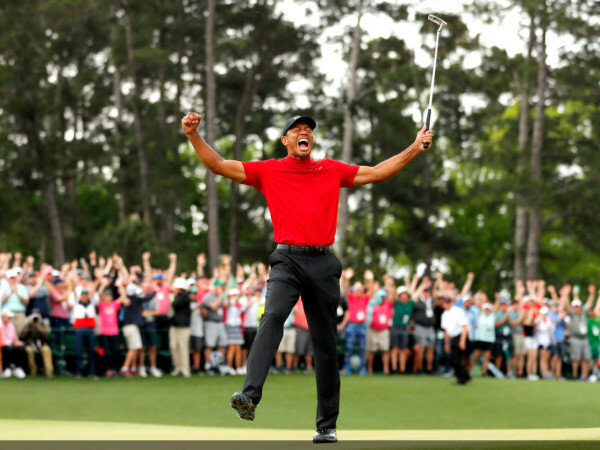 We're going to make it." 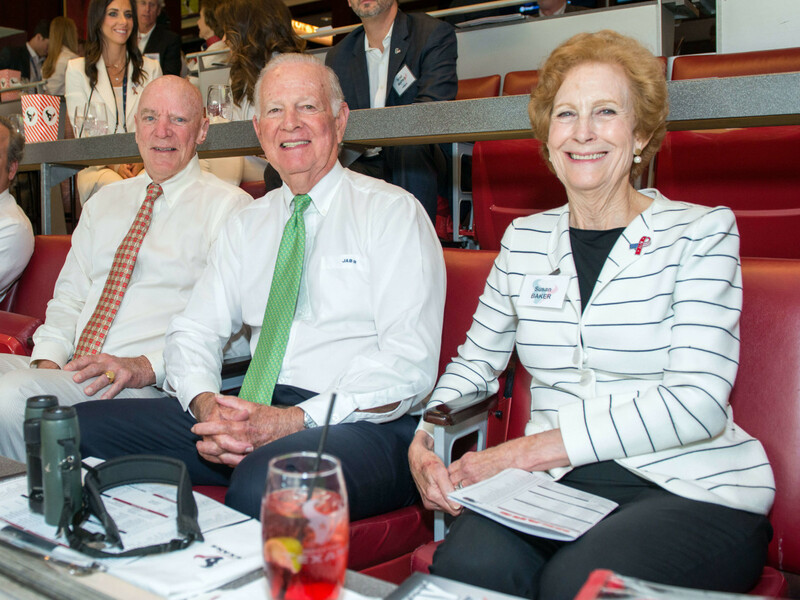 Houston Texans GM Rick Smith and team COO and vice chairman Cal McNair travel the stadium with McNair and secure their seats center, front row in the open suite. 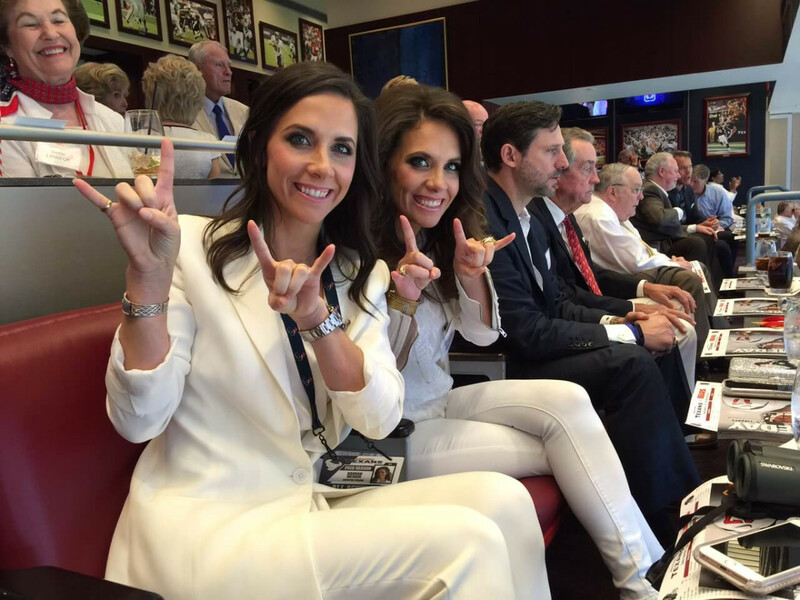 Binoculars de rigueur. 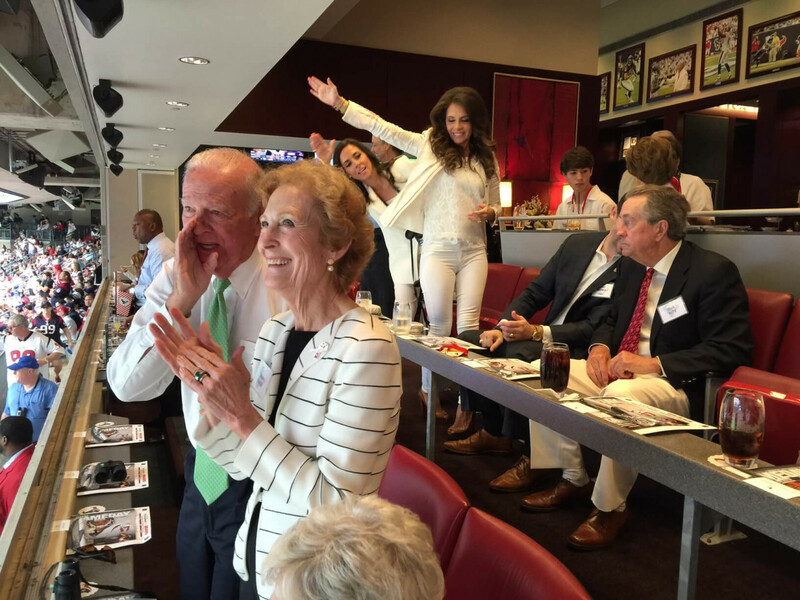 As is tradition, guests were treated to a lavish brunch buffet, followed at halftime by an array of cookies and made-to-order ice cream sundaes. 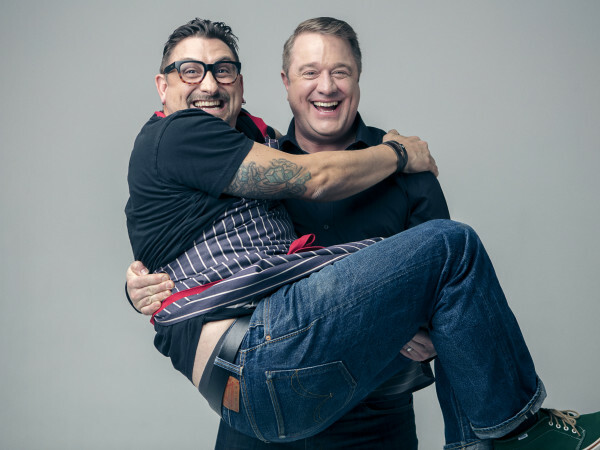 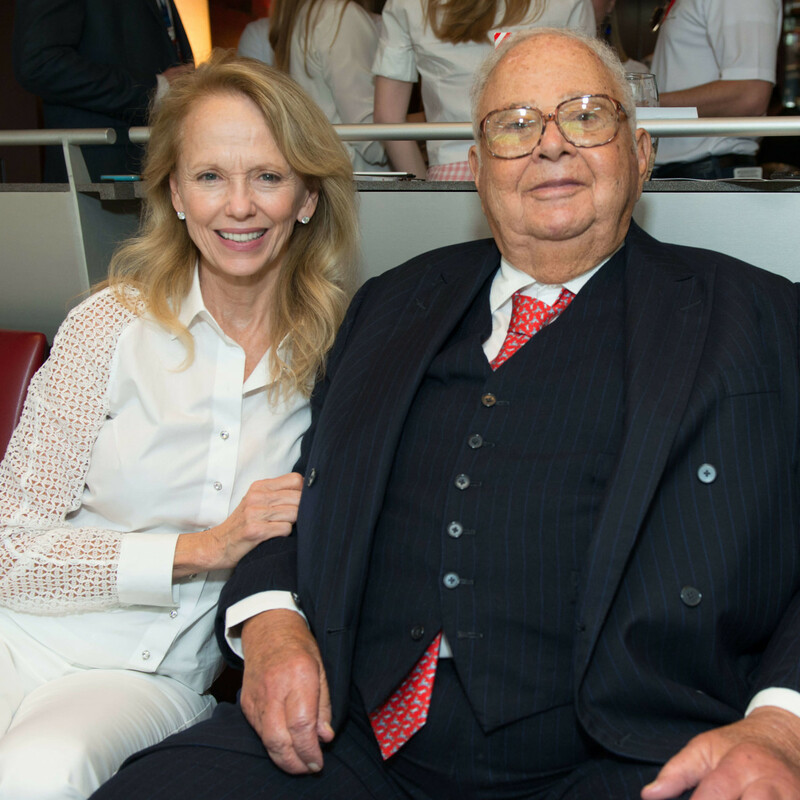 Few could resist this temptation including Robin King, Isla and Tommy Reckling, and Defender CEO and publisher Sonny Messiah Jiles. 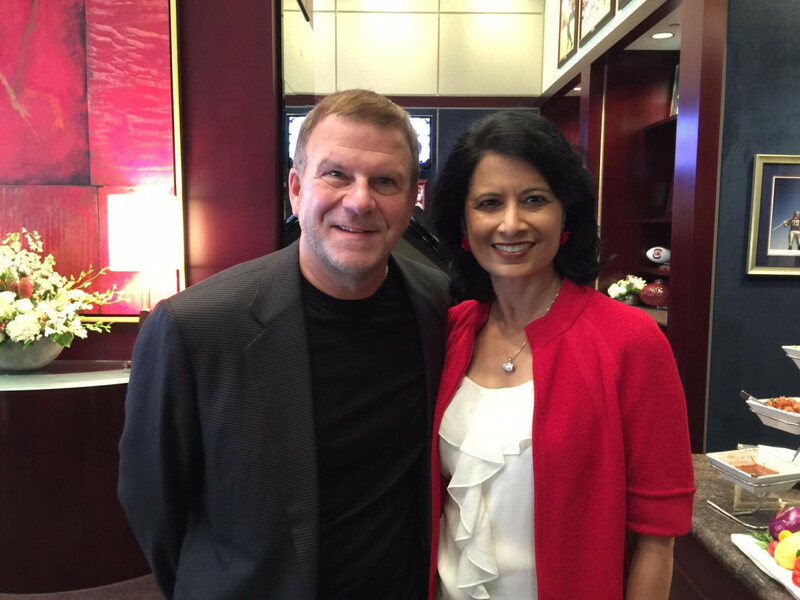 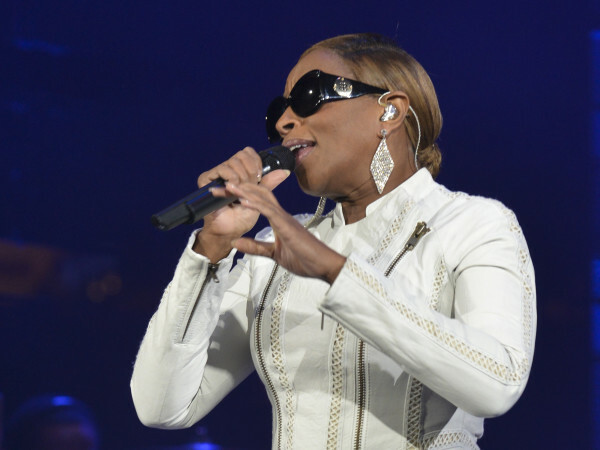 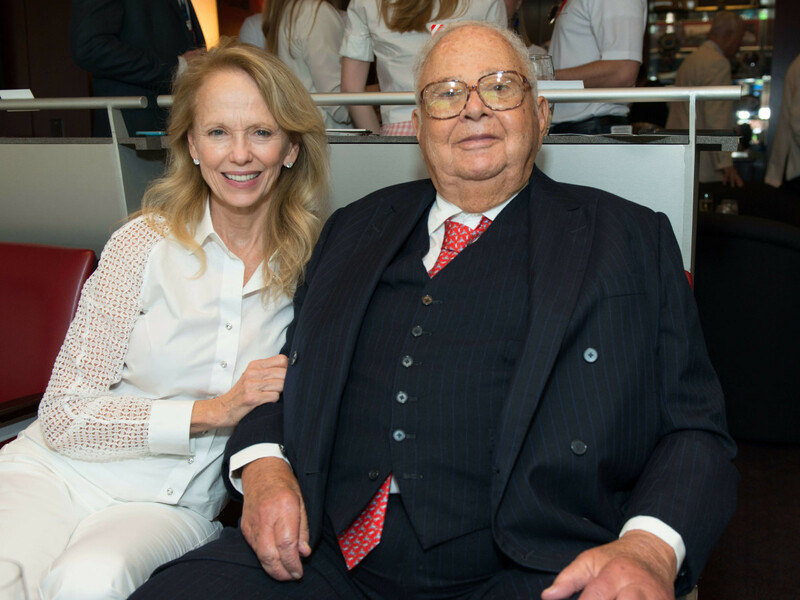 Among those securing the coveted invitation from the McNairs included Houston Super Bowl Committee honchos Ric Campo and Sallie Sargent, suite regulars John Havens, Jodi Jiles, Sally and Dr. Charles Neblett, Joanna and Brad Marks, Barbara and Bill O'Connell, Susan and Fayez Sarofim, and UH benefactor and billionaire Tilman Fertitta. 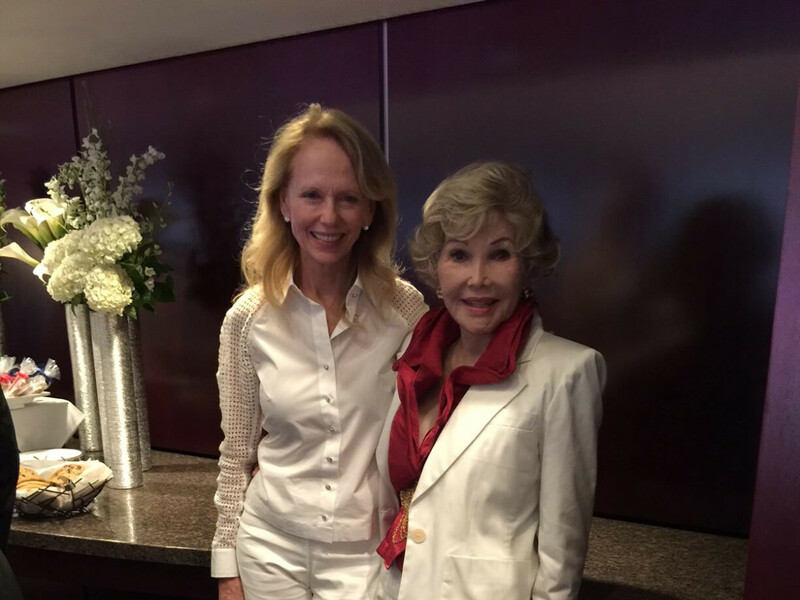 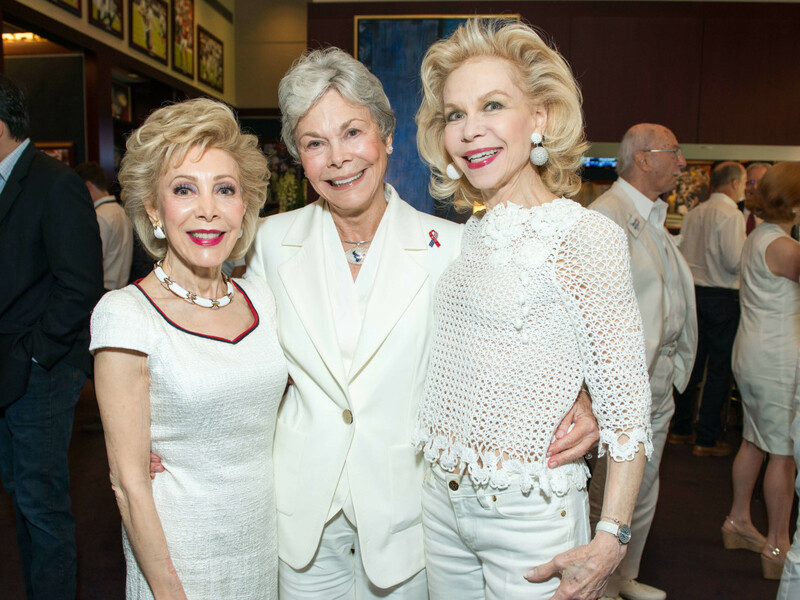 And, yes, many guests were dressed in white at the suggestion of the McNairs, who invited everyone to sartorially salute the Liberty White theme of the day.